On February 19th 2017, the annual HIMSS conference (#HIMSS17) will be held in Orlando FL. It will once again be the largest gathering of Healthcare IT folks in North America with over 45,000 people expected. Every year I look forward to HIMSS. It is the best place to see what is happening in the industry, hear the challenges that lay ahead and see what the smart minds in #healthIT are investing in. Although the sessions, keynotes and exhibit hall are all amazing, the best part of the conference is meeting people face to face – especially at the meetups and spontaneous get-togethers. I love catching up with friends that I haven’t seen in a year and meeting new ones for the first time. 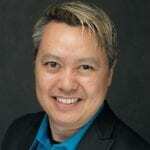 For the past couple of years, I have used HIMSS as an opportunity to compile a soundtrack for healthcare – a Mix Tape that can be enjoyed during the conference (see last year’s Mix Tape here). 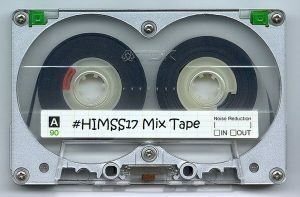 This annual HIMSS Mix Tape is a fun way to reflect on where we have been and where we are going. 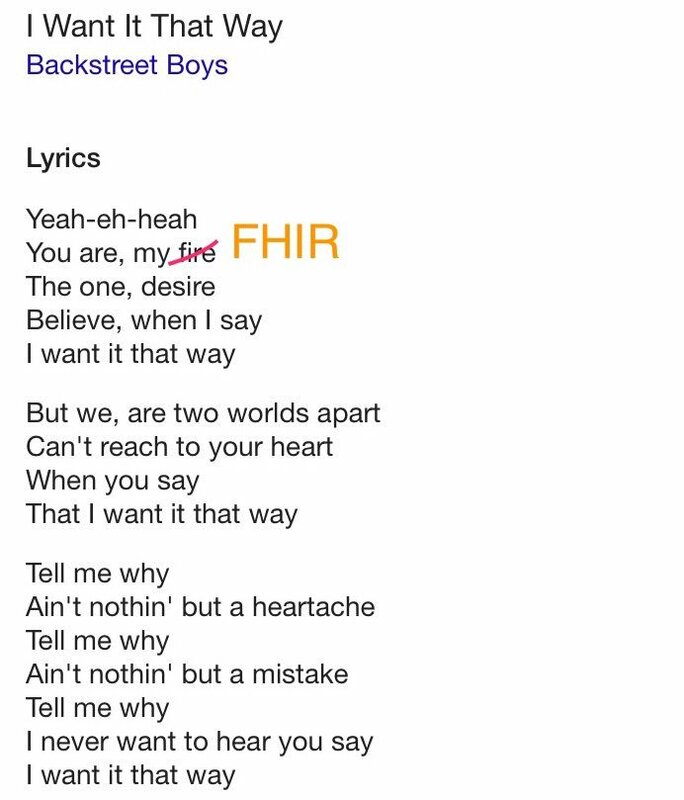 As with prior years, I asked friends and colleagues on social media for the song they believe best represents healthcare. I also asked them to explain their selection. Below are the songs chosen for the #HIMSS17 Mix Tape. What would your selection be? Let us know in the comments. You’ll be back – Hamilton. Chosen by Regina Holliday @ReginaHolliday. Because that song could be the words of any doctor who wants his patient compliant and silent and any government that denies care. Hence we must have revolution. Shine – Camouflage. Chosen by Nick Van Terheyden @drnic1. After many potential choices ranging from the deep and dark Wadruna by Helvegen through “America” by Young the Giant that celebrates the immigration to the uplifting dance song that captured what seemed to transpire for the year was “Don’t Stop the Madness” by DJ Hush and featuring Fatman Scoop (what an awesome name) I settled on Shine. That captured the spirit of what I need this year: This is the world where we have to live / there’s so much that we have to give / so try to Shine Shine Shine within your mind / Shine from the Inside / if you Shine Shine Shine within your mind. Can’t you hear me knockin – Rolling Stones. Chosen by Linda Sotsky @EMRAnswers. In my own life, I started my Mothers fight for data 17 years ago. As collective patients, caregivers and advocates we are STILL knockin and screamin “give me my damned data” Can’t you hear us knockin? Faith – George Michael. Chosen by Rasu Shrestha MD @RasuShrestha. We’re not Gonna Take It – Twisted Sister. Chosen by Mandi Bishop @MandiBPro. The disenfranchised, the chronically or severely ill, the caregivers, and the underserved communities will rise up and be heard in the face of healthcare weaponization. We will not remain silent. We will not take it. I chose this to represent the HIT chicks movement in health tech. Increasingly women are coming to the table and taking senior leadership roles in health tech which we so very much need as women remain the primary healthcare decision maker in the home with “doctor mom” being the go to for any and every illness first! Spouses rely on their wife to be the care takers when parents get older and when kids are sick and need to run to the pediatrician etc. Also, HIMSS for the first time is giving the women in tech awards which itself is a big statement. We’ve got challenges all around us in healthcare, but I say “Tomorrow’s Another day, and I’m thirsty anyway, so Bring on the Rain.” Things will get better in healthcare because so many amazing people work in healthcare and battle through the rain. In hope that all my #HealthIT / #PatientAdvocate / #SoMe / #ThoughtLeader colleagues ignore and overcome the nonsense of the current political climate to keep making HUGE progress on the most important healthcare initiatives like Telemedicine, Interoperability, a National Patient ID, Care Coordination, alternate payment models like Direct Primary Care, and more. Let’s all have a Record Year in 2017! Crosseyed and Painless – Talking Heads. Chosen by David Harlow @healthblawg. There was a line/ There was a formula. But we are now in a post-factual environment. Facts all come with points of view/ Facts don’t do what I want them to/ Facts just twist the truth around. We need to focus on achievable goals, on implementing solutions that make sense independent of regulatory engines that have driven so much of health IT over the past eight years. There’s a lot of talk in health IT that you can’t take it at face value. For example, everyone says they support interoperability, and yet… we’re not there yet. Also, there’s a lot of talk about patient engagement, but is it really about involving patients in their care… or just getting them to better “comply”? Finally, is Trump really going to get rid of Obamacare, or just rebrand it? What *do* you mean? Raymond Penfield was 94 when he recorded Addicted to Love and became an Youtube sensation. He made it to 98. Here is his obituary. http://www.legacy.com/obituaries/eastbaytimes/obituary.aspx?page=lifestory&pid=176888398 … BTW he was a graduate from the University of Illinois as was I! I hope I have as much energy and spirit and health into my 90s! Why? Because times are changing and status quo is being cast aside. Because this ♫♪♪♪♫♪? ♫♪ What a long strange trip it’s been ♫♪♪♪♫♪? For a full #HIMSS17 Mix Tape Playlist on Spotify, click here or play the embedded player below. How did I miss this? Why, Aretha Franklin’s R-E-S-P-E-C-T, of course. Thanks, Colin! Please add “Right Now” by Van Halen. Nice additions Jane and Michael!